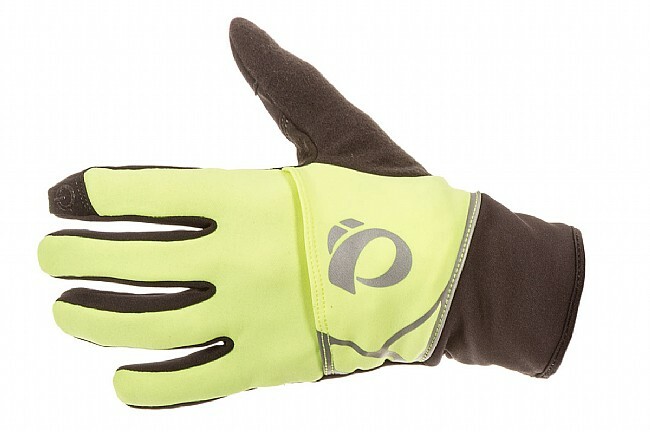 Pearl Izumi Men's Shine Wind Mitt is a versatile unisex cool-weather glove with a stowable windproof over-mitt that packs into the top for use in changing conditions. They use P.R.O. Thermal Lite fabric to create a lightweight soft-shell that insulates without sacrificing dexterity. The index fingers and thumbs are layered with a conductive synthetic layer so you can still use your touch screen devices, and the addition of fleece to the backside of the thumbs is a small detail that makes a big difference when perhaps the cool temperatures begin to make things a little snotty. 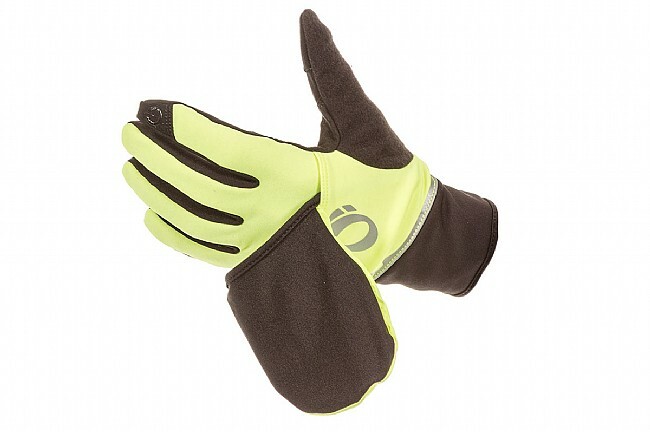 Available in black with hi-vis yellow, plus reflective accents for enhanced visibility.